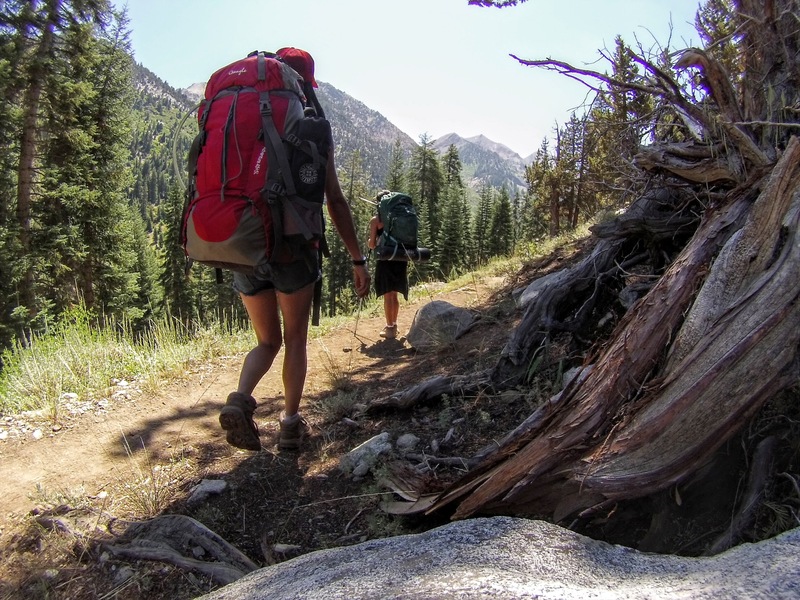 Permits: Required for backpacking only. 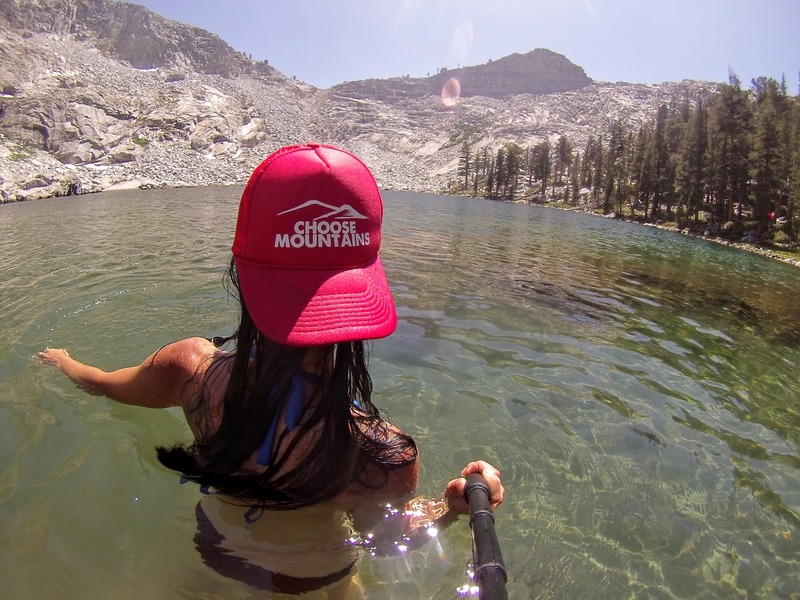 There’s no better way to cool down in the middle of summer than hiking to and swimming in an alpine lake. This was my first alpine lake swim and it will definitely not be the last. 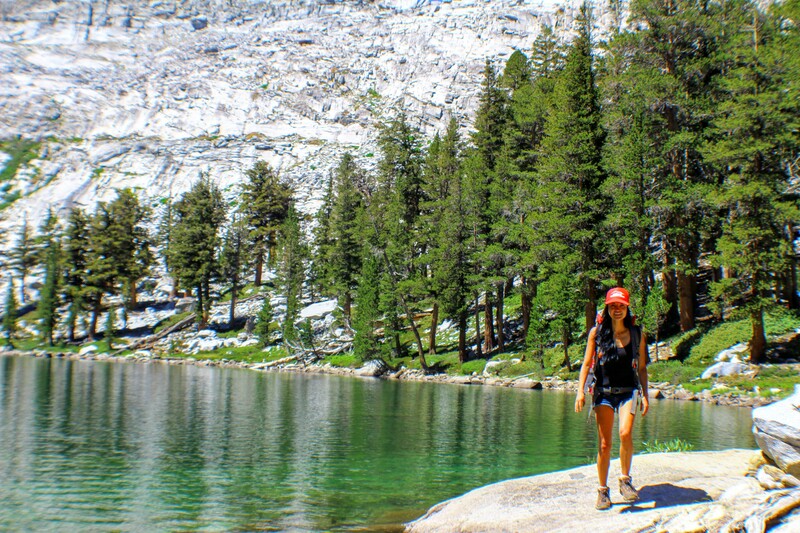 It was the beginning of August and I so badly wanted to hike to an alpine lake and luckily, I was able to score a last-minute wilderness permit. 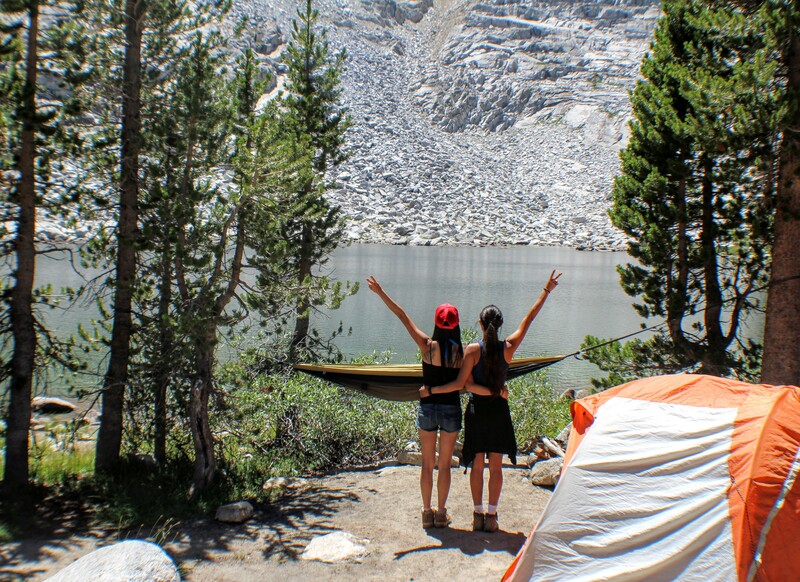 As soon as my permit was confirmed, I called my sister and told her our plans for backpacking Eagle Lake. 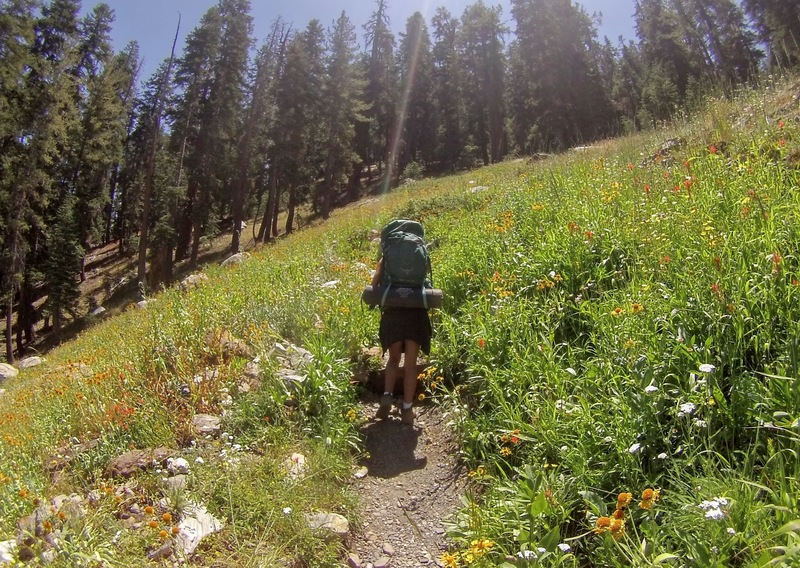 This was her second backpacking trip ever and she was just as excited about it as I was. 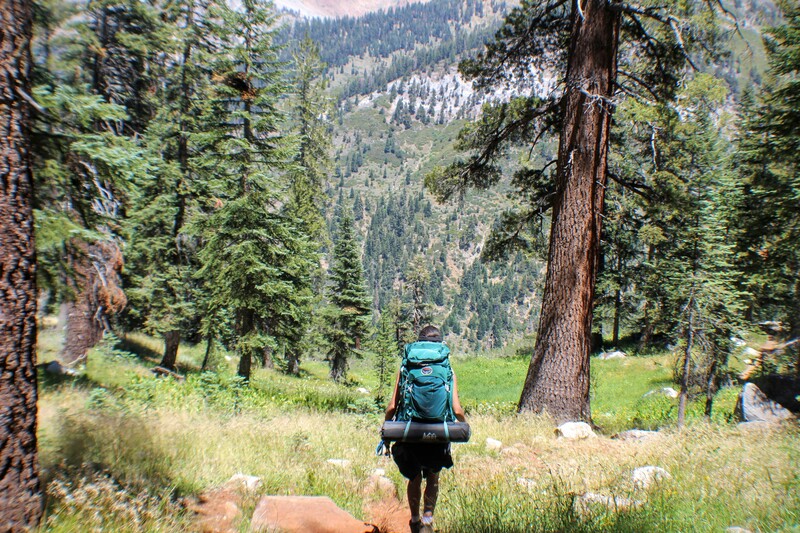 We had a few days to plan and prepare and by Thursday night we were on the road to Sequoia National Park. If you live in or near L.A you know traffic can be a pain. We decided to hit the road late Thursday and continue to drive all night. It was a smooth ride with little to no traffic and we arrived in Mineral King early Friday morning; so early that the ranger station had not opened yet. It was time for a quick power nap in the car. We picked up our permits as soon as the ranger station opened and was on our way. The weather was just perfect, bright sunny clear blue skies and such a beautiful day for hiking. The Eagle-Mosquito Lakes trail head is less than a mile away from the ranger station. We finalized our packs and tarped the front of my car to keep the marmots away from getting into my anti-freeze. 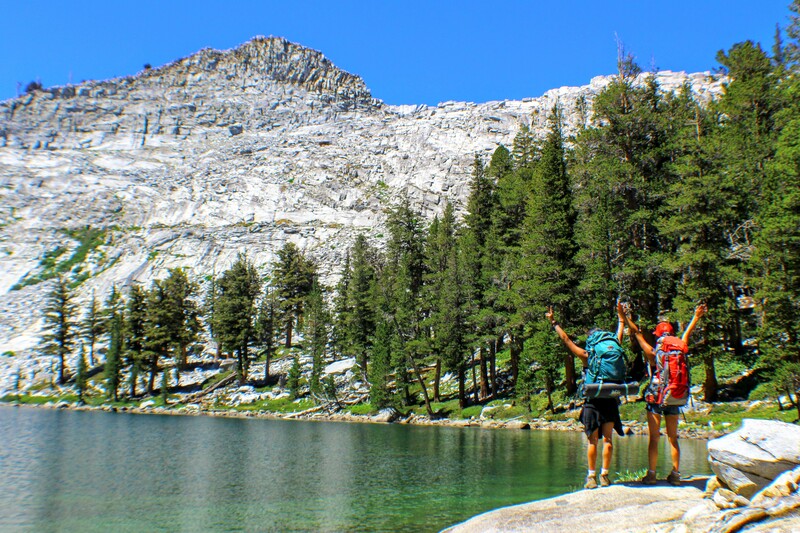 To get to Eagle Lake, we hike just a little over 3.5 miles with an elevation gain of 2,175’. A breeze! Or so we thought. It took us a little over 3 hours to get to the lake, but a beautiful hike it was. We saw more people heading back to their car than we saw hiking to the lake. When we arrived, there were only two other people camping there that night. 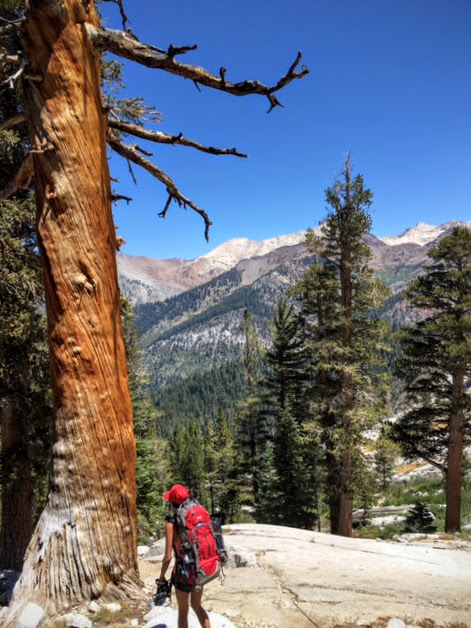 Being in the backcountry, there really was no specific place to camp; a free for all (with valid permits) and of course, following Leave No Trace rules. 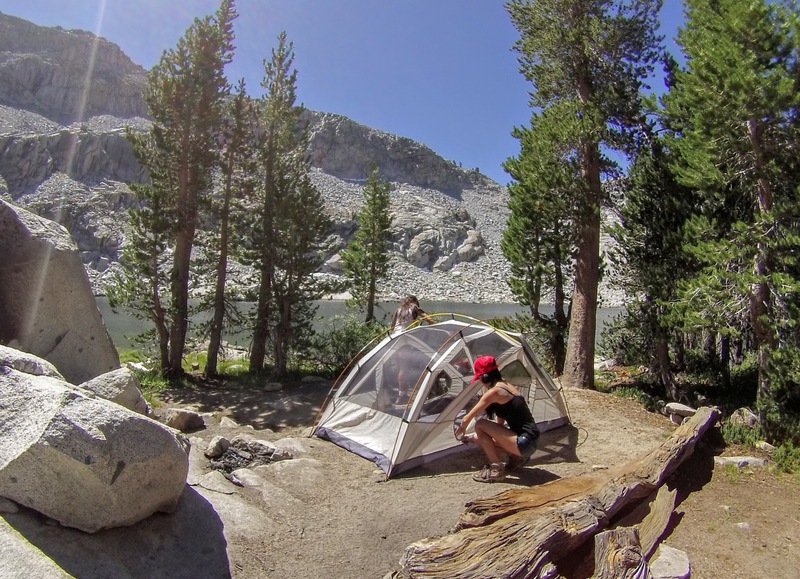 We dropped our packs in search of an awesome place to camp and scored a spot right away. 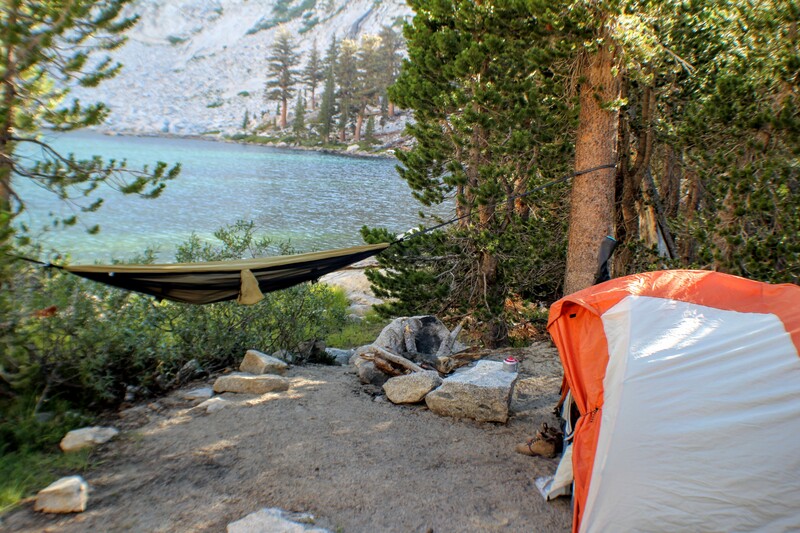 By the time we set up camp, had lunch and lounged around the lake, the day was coming to an end. We had an entire day ahead of us to explore our surroundings and had spent the entire night of driving, so we decided to call it an early night. In fact, we fell asleep so early that I woke up in the middle of the night to stargaze. Never had I ever seen so many stars in my life! The next morning, we prepared our breakfast on this rock near the lake. This rock eventually became our go-to spot when hanging next to the lake. With no plans but to explore and swim all day, we decided to hike around the lake. It was around noon on a Saturday morning when more people started to arrive. They had small packs and were only day hiking to the lake for a swim. We continued to adventure off-trail and around the lake until lunch time. We then headed back to our site to prepare lunch. After lunch, we changed into our swimsuits and slowly but surely made it into the lake. And yes, the water was freezing cold, but it felt great. More people slowly made their way to the lake and soon enough everyone was swimming. Eventually, the sun started to disappear and we needed every last minute of sunshine to dry off before a cold night ahead, especially since there are no campfires allowed in the back country. We dried off, prepared dinner and chased marmots away before going to sleep. Yet another early night but, we had a long drive home the next day. We ended up sleeping in that morning and got a late start. We woke up and shared breakfast with a squirrel before packing our bags and heading back to the car. The hike back to the car always seems to go by quicker than the hike to the lake, yet I cannot get over how beautiful this trail is. Absolutely love the Sequoias, thank you!